Great for a Birthday or Easter gift! Head to Amazon to order the Disney Girls’ “Frozen” Silver-Plated Anna Pendant Necklace, 18″ for Just $6.99! (Reg. $22) This Add-on Item ships on qualifying orders of $25+. 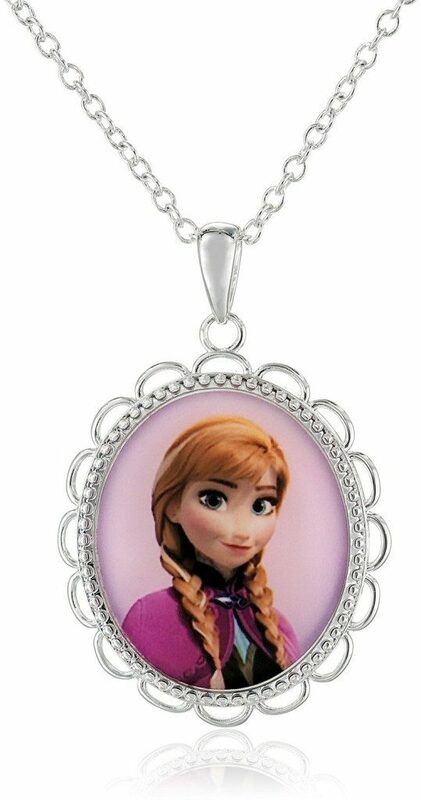 Disney Girls’ Frozen Silver-plated brass necklace featuring oval-shaped scalloped-edge pendant with portrait style image of Princess Anna.